Phosphatodraco (meaning "phosphate dragon", in reference to the phosphates of Morocco, the country where it was found) is a genus of azhdarchid pterodactyloid pterosaur from a late Maastrichtian-age Upper Cretaceous portion of the Oulad (or Qualad) Abdoun Phosphatic Basin, Grand Doui, near Khouribga, central Morocco. Pereda-Suberbiola, Xabier; Bardet, N., Jouve, S., Iarochène, M., Bouya, B., and Amaghzaz, M. 2003. 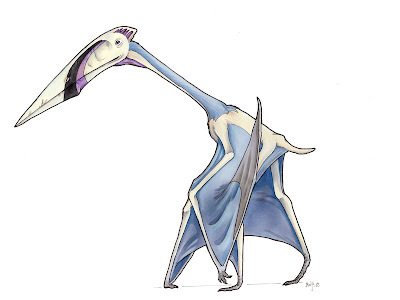 A new azhdarchid pterosaur from the Late Cretaceous phosphates of Morocco. In Buffetaut, E., and Mazin, J.-M. (eds.). Evolution and Palaeobiology of Pterosaurs. Geological Society of London, Special Publications, 217. London: Geological Society of London. pp. 80–90. ISBN 1-86239-143-2. 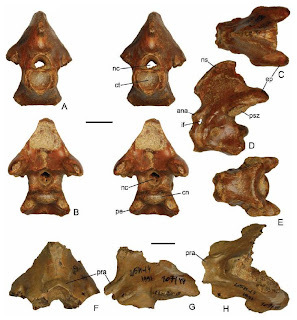 A new azhdarchid genus and species, Volgadraco bogolubovi gen. et sp. nov., is described based on an anterior fragment of the mandibular symphysis (mandibular beak) and some postcranial elements from the Rybushka Formation (Upper Cretaceous, Lower Campanian) of the Shirokii Karamysh 2 locality, Saratov Region. 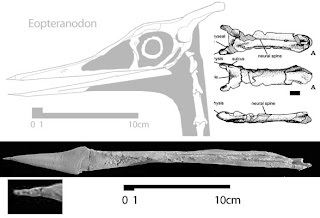 The new taxon is intermediate in size and vascularization of the mandibular beak between mediumsized Turonian–Santonian azhdarchids (Azhdarcho, Bakonydraco) and the giant Maastrichtian azhdarchid Quetzalcoatlus. 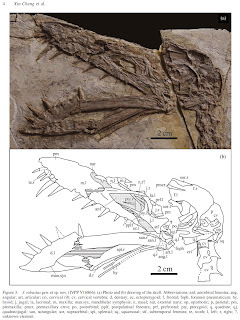 Key words: Pterosauria, Azhdarchidae, new taxa, Cretaceous, Saratov Region, Russia. Averianov, A.O. ; Arkhangelsky, M.S. ; and Pervushov, E.M. 2008. 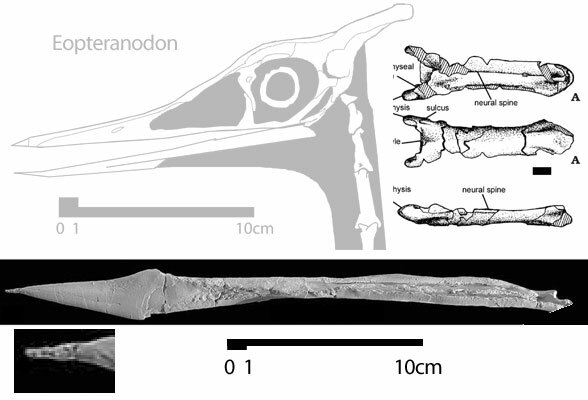 A New Late Cretaceous Azhdarchid (Pterosauria, Azhdarchidae) from the Volga Region. Paleontological Journal. 42 (6): 634–642. DOI:10.1134/S0031030108060099. Averianov, A.O. 2010. 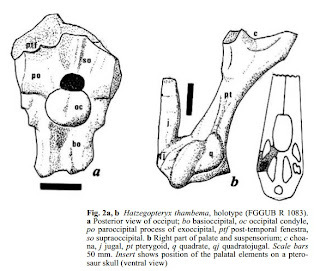 The osteology of Azhdarcho lancicollis Nessov, 1984 (Pterosauria, Azhdarchidae) from the Late Cretaceous of Uzbekistan. Proceedings of the Zoological Institute of the Russian Academy of Sciences, 314(3): 246-317. Nesov, L. A. 1984. Upper Cretaceous pterosaurs and birds from Central Asia. 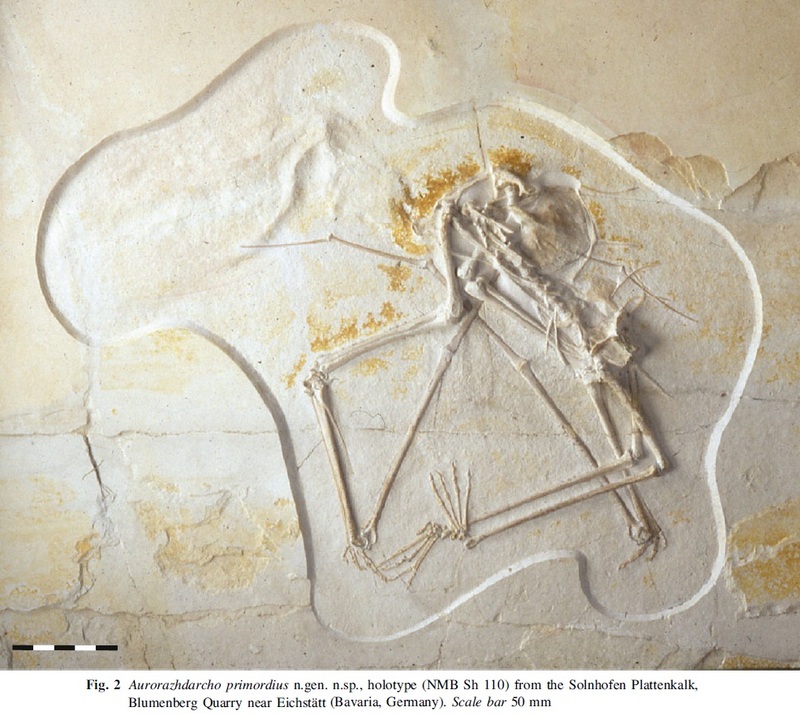 Paleontologicheskii Zhurnal, 1984(1), 47-57. 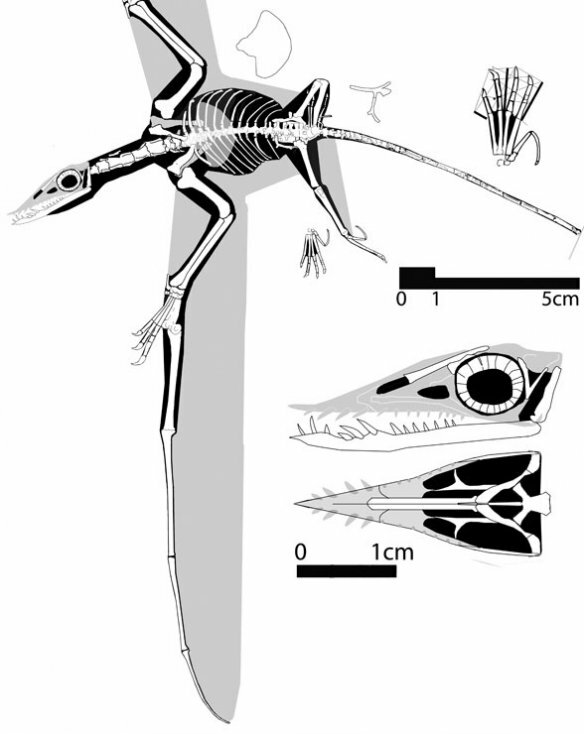 Type species: Bakonydraco galaczi described below. Etymology: The generic name derives from name of the Bakony Mountains where the locality is situated and from the Latin draco = dragon. 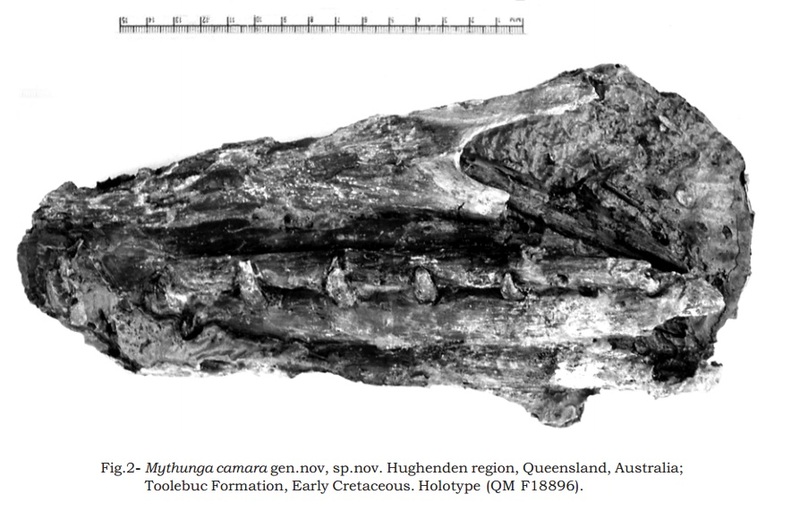 Holotype: MTM Gyn/3, nearly complete mandible (Fig. 2). Etymology: In honour of professor and adviser András Galácz who helped us in the Iharkút Research Program. Type locality: Iharkút, Veszprém County, Bakony Mountains, Transdanubian Range, western Hungary. Type horizon: Csehbánya Formation, Upper Cretaceous (Santonian; Knauer and Siegl−Farkas 1992). 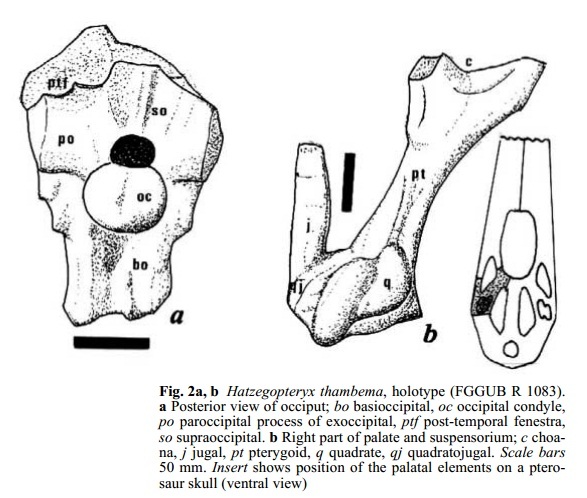 Paratypes: MTM Gyn/4, 21 symphyseal fragments of the dentary. Ösi, Attila; Weishampel, David B.; and Jianu, Coralia M. 2005. First evidence of azhdarchid pterosaurs from the Late Cretaceous of Hungary. 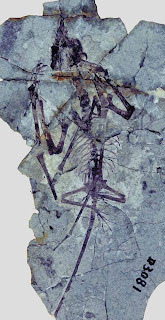 Acta Palaeontologica Polonica. 50 (4): 777–787. A new giant pterosaur, Hatzegopteryx thambema, nov.gen., nov.sp., from the Maastrichtian Densuy-Ciula Formation of Romania is remarkable for its very large size (estimated wing span S12 m) and for the robustness of its large skull, which may have been nearly 3 m long. The stout skull bones contrast with the usually thin and slender skull elements of other pterosaurs, and raise the question of how the weight of the skull was reduced in order to make flight possible. The answer probably lies in the very peculiar internal structure of the bones, which consists of a dense network of very thin trabeculae enclosing small alveoli. This structure is reminiscent of expanded polystyrene and, like it, probably combined strength with lightness. 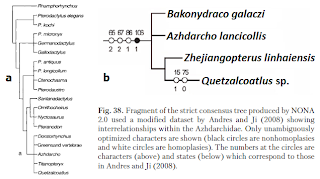 Buffetaut, E., Grigorescu, D., and Csiki, Z. 2002. A new giant pterosaur with a robust skull from the latest Cretaceous of Romania. Naturwissenschaften. 89(4): 180-184. [Paleontology • 1995] Montanazhdarcho minor • an azhdarchid pterosaur from the Two Medicine Formation (Late Cretaceous, Campanian) of Montana. The wing skeleton of the Campanian azhdarchid pterosaur Montanazhdarcho minor Vidian et al. 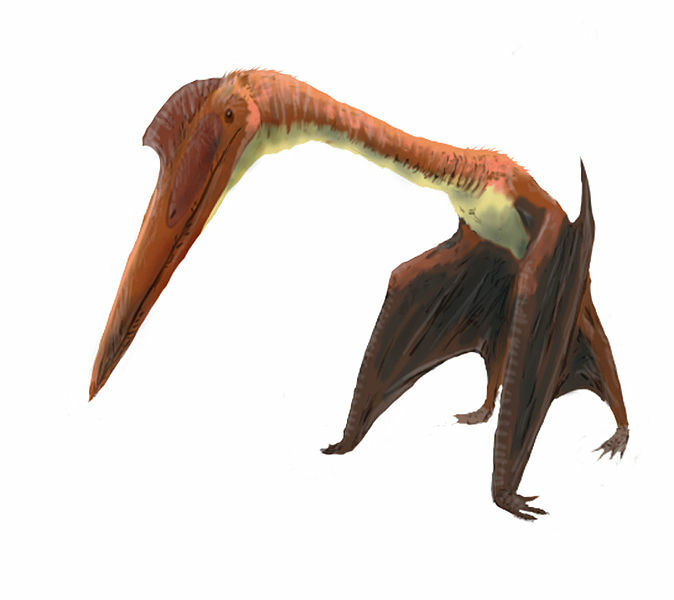 1995 is described and compared to other Cretaceous pterosaurs. It is distinguished from all other known azhdarchids by its small mature size, among other characters. 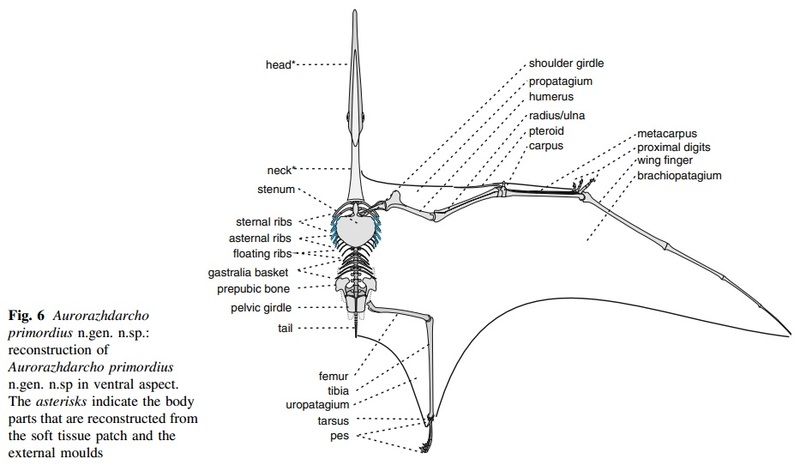 Notable features include elongated cervical vertebrae with weak neural crests, a ring-like pectoral girdle, and an unwarped deltopectoral crest that is 30% of the length of the humerus. The ulna is slightly longer than the wing metacarpal, and the articular surface of the radius lacks a central pneumatic foramen. 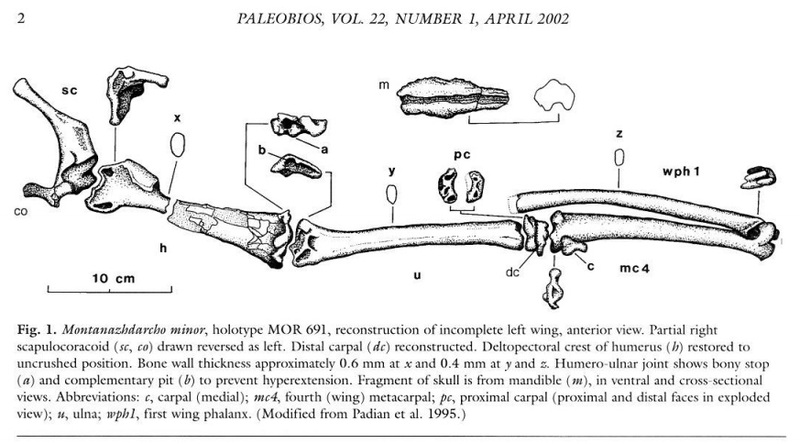 The wing metacarpal has a rounded dorsal condyle but there is no median ridge between the distal condyles. 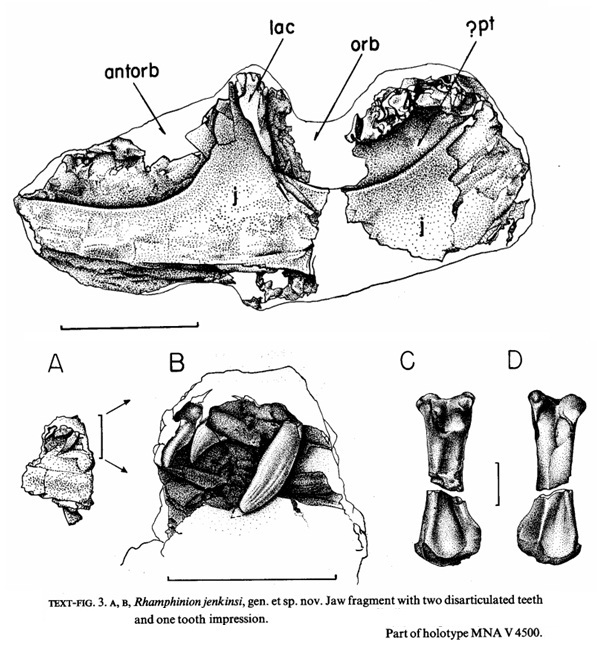 The mandible is edentulous, further support is given to the reduced distal expansion of the deltopectoral crest as an azhdarchid svnapomorphv. K. Padian, A. J. de Ricqlès, and J. R. Horner. 1995. Bone histology determines identification of a new fossil taxon of pterosaur (Reptilia: Archosauria). Comptes Rendus de l’Academie des Science, Serie II (320): 77-84. McGowen, M.R. ; Padian, K.; de Sosa, M.A. ; Harmon, R.J. 2002. 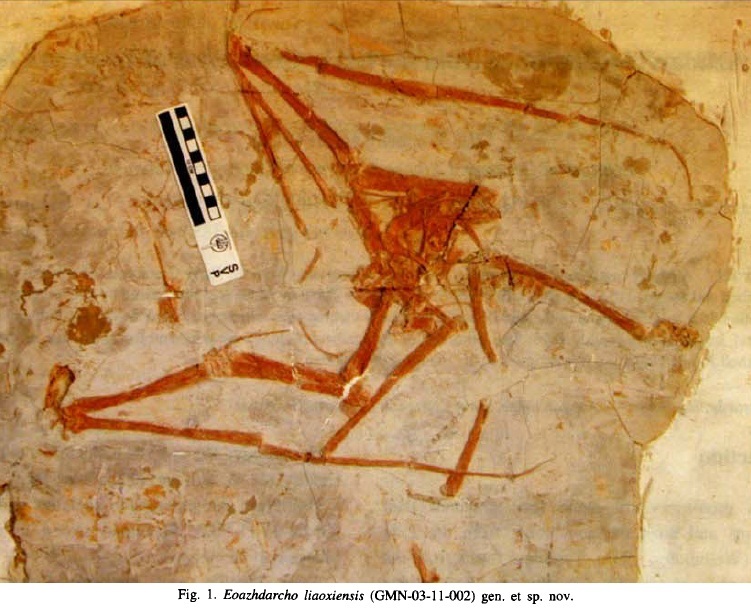 Description of Montanazhdarcho minor, an azhdarchid pterosaur from the Two Medicine Formation (Campanian) of Montana. PaleoBios. 22 (1): 1–9. Arambourgiania is a pterosaur from the Late Cretaceous (Maastrichtian) of Jordan. It was one of the largest members of this group. The text describes a new genus and species of pterosaur from Late Cretaceous sediments around the municipality of Linhai, Zhejiang Province: Zhejiangopterus linhaiensis gen. et sp. nov. which morphologically approaches Nyctosaurus from the Upper Cretaceous Santonian Stage of Kansas, in the U.S. 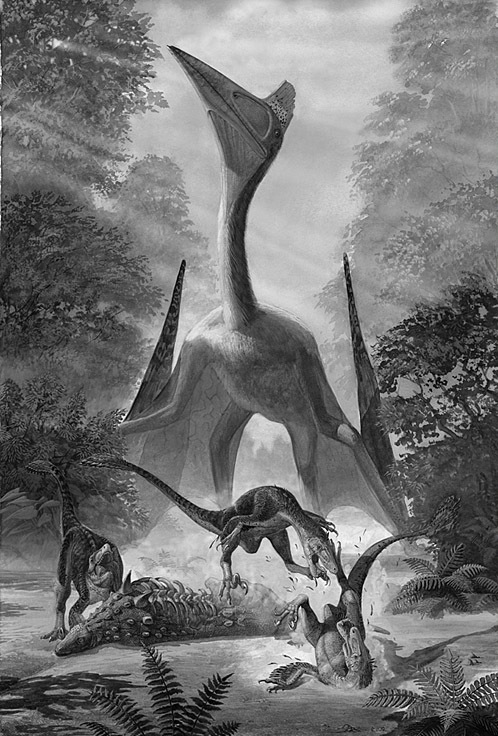 The new taxon is thereby assigned to the family Nyctosauridae. Cai, Z., and Wei, F. 1994. 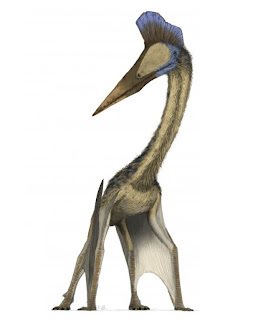 On a new pterosaur (Zhejiangopterus linhaiensis gen. et sp. 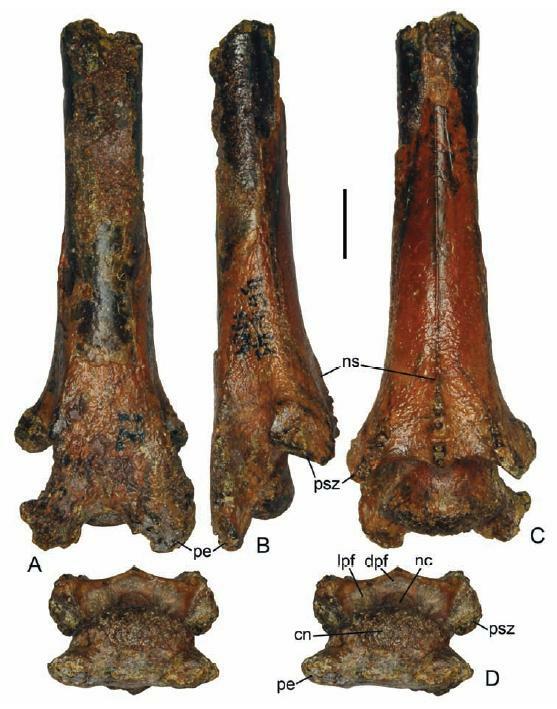 nov.) from Upper Cretaceous in Linhai, Zhejiang, China. 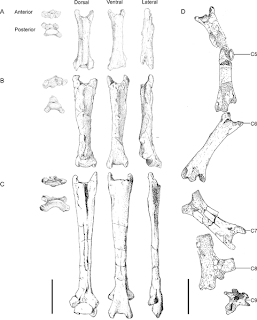 Vertebrata Palasiatica, 32: 181-194. 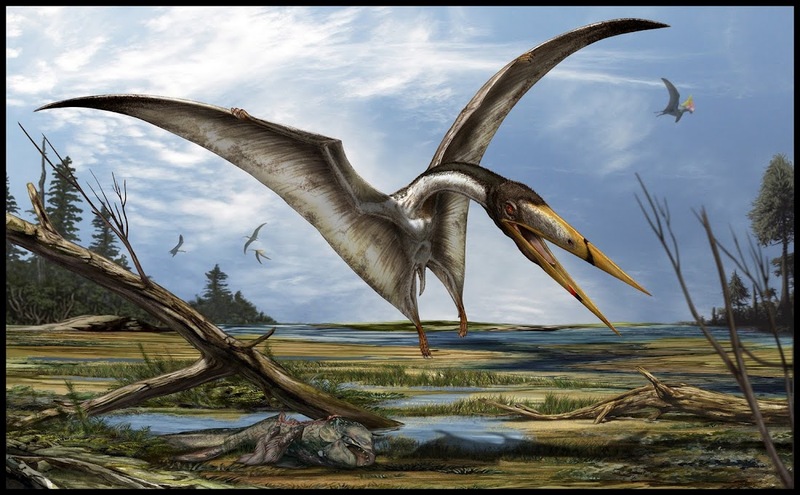 A summary of recent studies on the interrelationships of pterodactyloid pterosaurs is used as a framework for reassessing the taxonomic status of Zhejiangopterus, a new, long‐necked, Late Cretaceous pterosaur from China that has been assigned to the Nyctosauridae. Characters cited in support of this decision include: a notarium, edentulous jaws, and lack of a cranial crest. 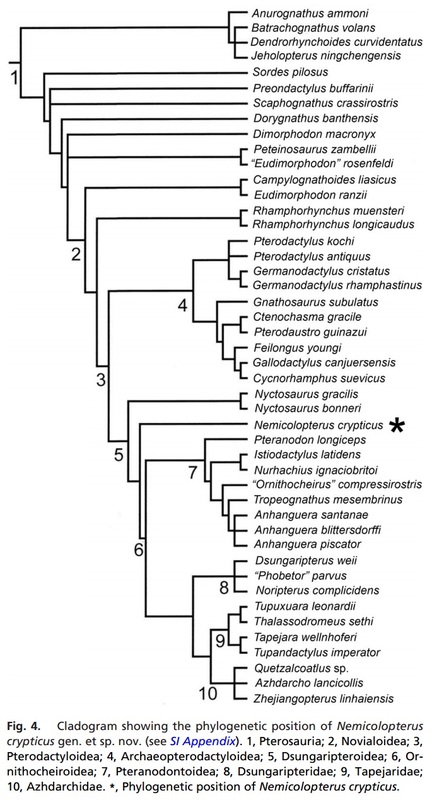 However, none of these is diagnostic of the Nyctosauridae. 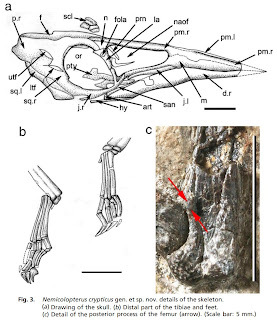 Zhejiangopterus exhibits a number of derived characters (orbit relatively small and located in a low position, posteroventrally facing occiput, features of the humerus and ‘T‐shaped’ cross‐section of wing phalanges two and three) only otherwise found in azhdarchids, thus we propose that Zhejiangopterus be reassigned to the Azhdarchidae. A nearly complete skeleton with a lower jaw of pterosaur from the Early Cretaceous of western Liaoning is described and assigned to a new genus, Eoazhdarcho gen. nov. 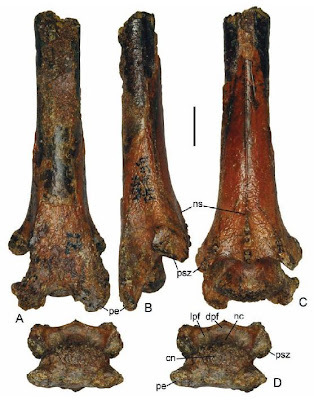 The new genus is characterized by a relatively small size, the ratio of the length to width of the middle series cervical vertebrae approximately 3.5 and the ratio of humeral length to femoral length approximately 0.96. The humerus of Eoazhdarcho shows great resemblances to that of previously described Azhdarchidae, so it is assigned to the family Azhdarchidae. 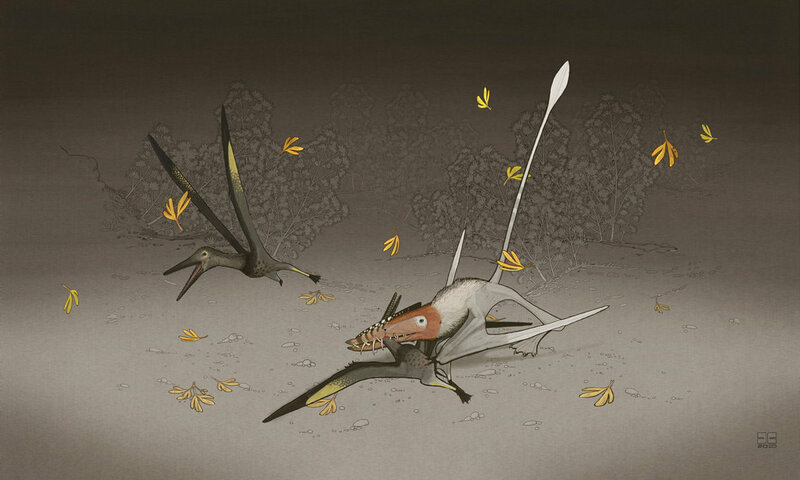 Lü, J., and Ji, Q., 2005, New Azhdarchid Pterosaur from the Early Cretaceous of Western Liaoning. Acta Geologica Sinica. 79 (3): 301-307. 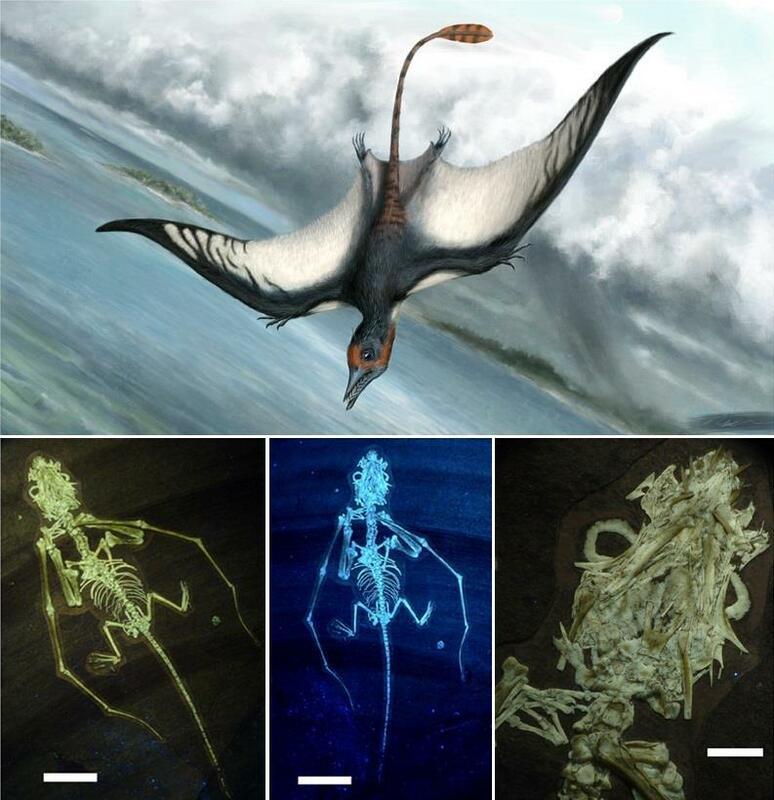 Based on an almost complete three-dimensionally preserved skeleton, a new genus and species of an azhdarchoid pterosaur Aurorazhdarcho primordius n.gen. 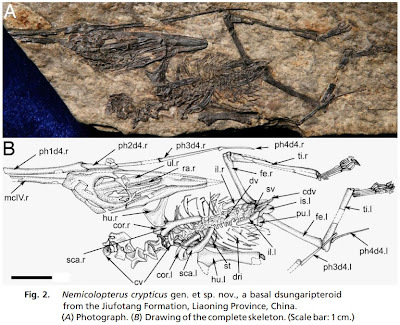 n.sp. 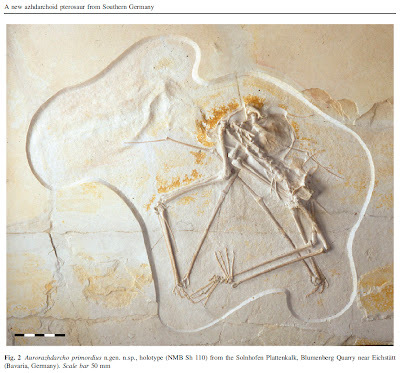 from the Late Jurassic Solnhofen limestone (Early Tithonian) of the Eichsta¨tt area (Bavaria, Germany) is described. 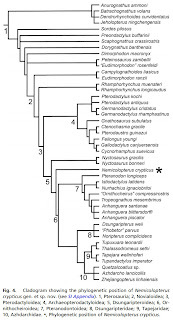 Furthermore, a new family the Protazhdarchidae is proposed. 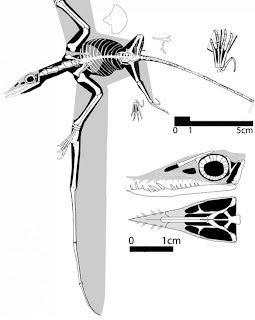 The specimen is attributed to the Azhdarchoidea based on its glenoid fossa level with the sternum, the shovel-like shape of the sternal plate, the wide furca of the coracoid, the metacarpus being longer than radius and ulna, the femur being 1/3 longer than the humerus, the femorotibial ratio, and the hammer-shaped humerus among other diagnostic features. Under UV-light, soft tissue preservation around the external mould of the head is visible. It consists of tiny ﬂakes possibly remnants of skin. The dorsally curved outline of the external mould of the head suggests the presence of a cranial crest. 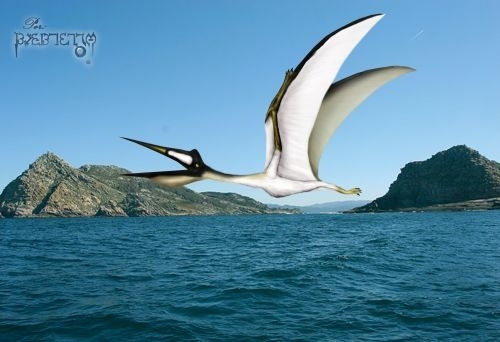 The new species is the oldest record of the azhdarchoid pterosaurs. 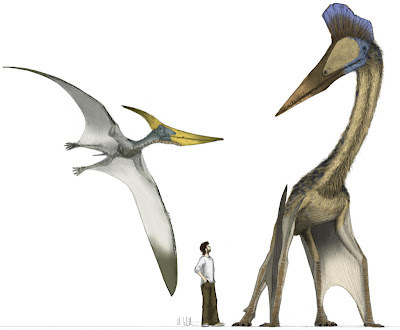 It supports the Eurasian origin of this group that includes the largest ﬂying animal ever. Stratum typicum: Solnhofen Lithographic Limestone (Upper Eichsta¨tt Formation, Late Jurassic, Lower Tithonian, Hybonotum Zone; Schweigert 2007). Eberhard Frey, Christian A. Meyer and Helmut Tischlinger. 2011. The oldest azhdarchoid pterosaur from the Late Jurassic Solnhofen Limestone (Early Tithonian) of Southern Germany. Swiss Journal of Geosciences. 104 (Supplement 1): 35–55. the issue entitled "Proceedings of the 5th International Symposium on Lithographic Limestone and Plattenkalk"
A previously undescribed toothless ﬂying reptile from northeastern China, Nemicolopterus crypticus gen. et sp. 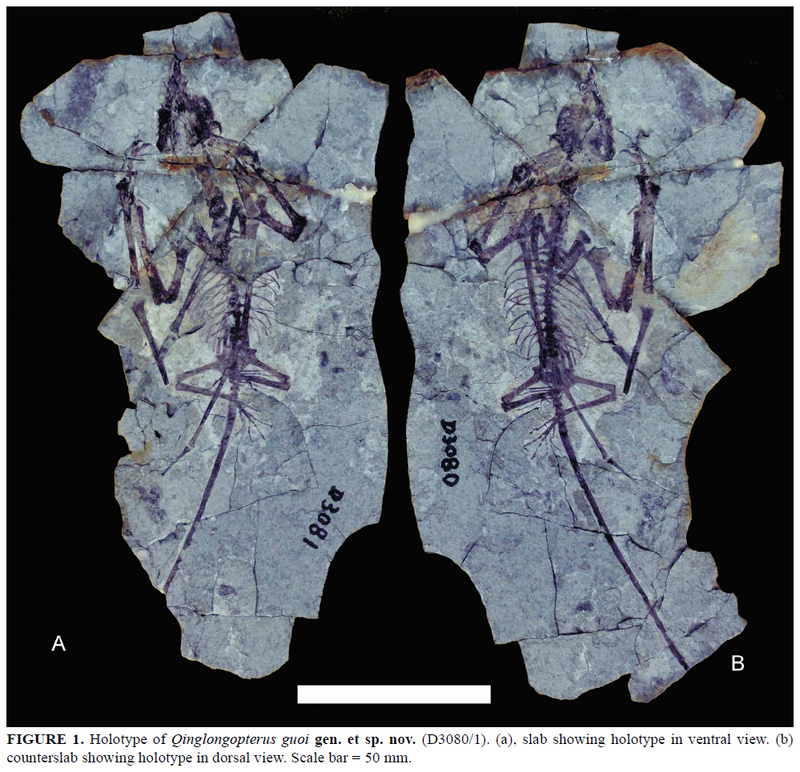 nov., was discovered in the lacustrine sediments of the Early Cretaceous Jiufotang Formation, western Liaoning, China. 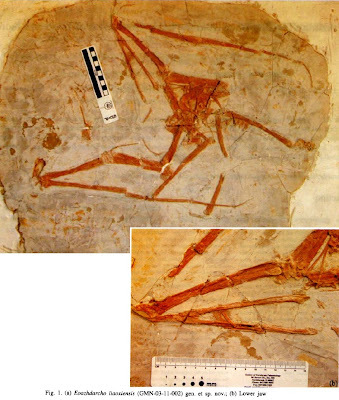 The specimen consists of an almost complete articulated skeleton (IVPP V14377) and, despite representing an immature individual, based on the ossiﬁcation of the skeleton, it is not a hatchling or newborn, making it one of the smallest pterosaurs known so far (wing span 250 mm). 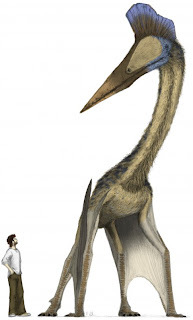 It can be distinguished from all other pterosaurs by the presence of a short medial nasal process, an inverted ‘‘knife-shaped’’ deltopectoral crest of the humerus, and the presence of a well developed posterior process on the femur above the articulation with the tibia. 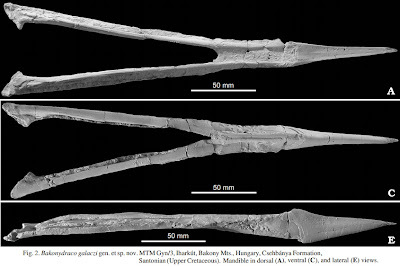 It further shows the penultimate phalanges of the foot curved in a degree not reported in any pterosaur before, strongly indicating that it had an arboreal lifestyle, more than any other pterodactyloid pterosaur known so far. It is the sister-group of the Ornithocheiroidea and indicates that derived pterosaurs, including some gigantic forms of the Late Cretaceous with wingspans of >6 m, are closely related to small arboreal toothless creatures that likely were living in the canopies of the ancient forests feeding on insects. 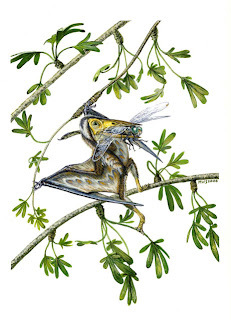 Nemicolopterus crypticus gen. et sp. 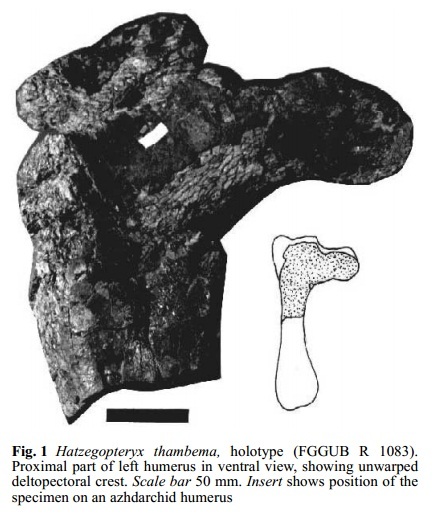 nov.
Holotype. 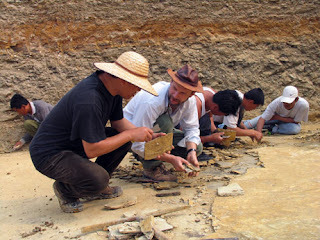 An almost complete skeleton has been deposited at theInstitute of Vertebrate Paleontology and Paleoanthropology(IVPP), Beijing (IVPP V-14377; Figs. 2 and 3). An incomplete pterosaur skull was found in the Albian marine Toolebuc Formation near Hughenden, Queensland, Australia. Although only the snout and part of the jaws are preserved, the specimen has two unique characters: posterior dentary teeth relatively large (approximately half the depth of the dentary) and posterior dentary and maxillary teeth relatively widely spaced (only 3 maxillary teeth between the last enlarged tooth and the nasopreorbital opening), and a unique combination of other characters. 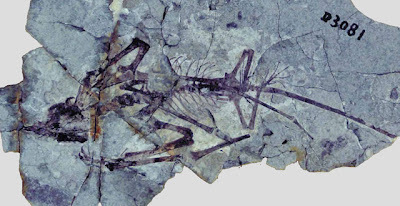 Thus, it is assigned to the new genus and species, Mythunga camara gen.nov., sp.nov., provisionally related to plesiomorphic pterodactyloids. 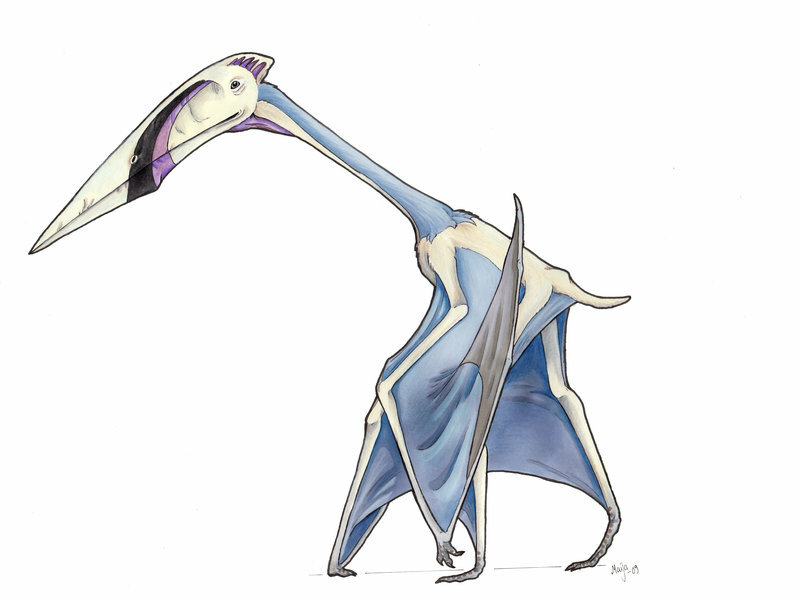 The snout was apparently hollow with a boxlike internal structure, supporting the characterization of pterosaurs as ‘optical illusions’. 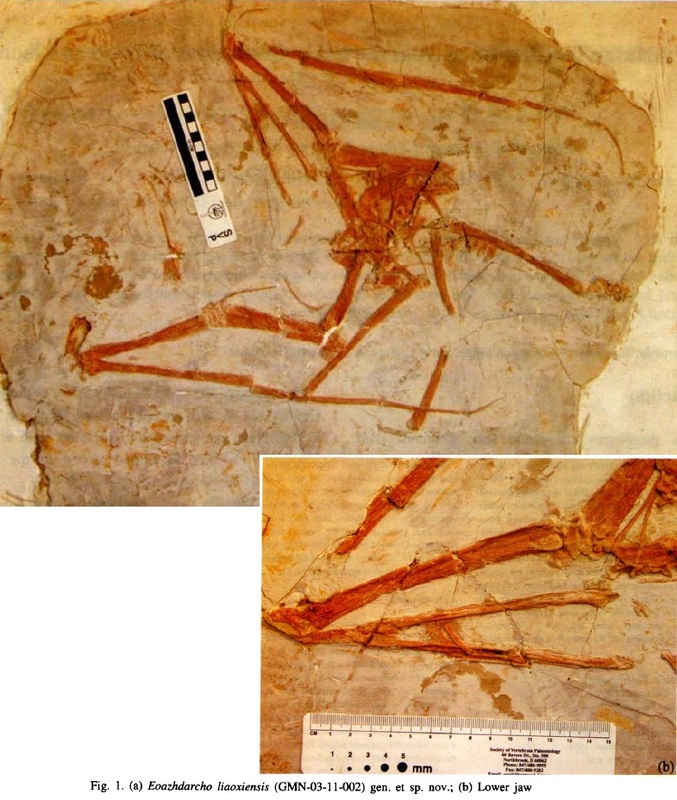 This specimen represents at least the second pterosaur taxon from Queensland. 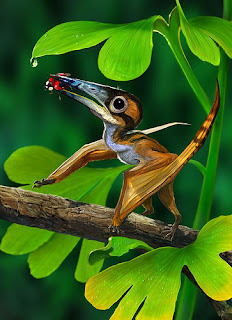 Key words: Cretaceous. Australia. Mythunga gen.nov. Queensland. Albian. 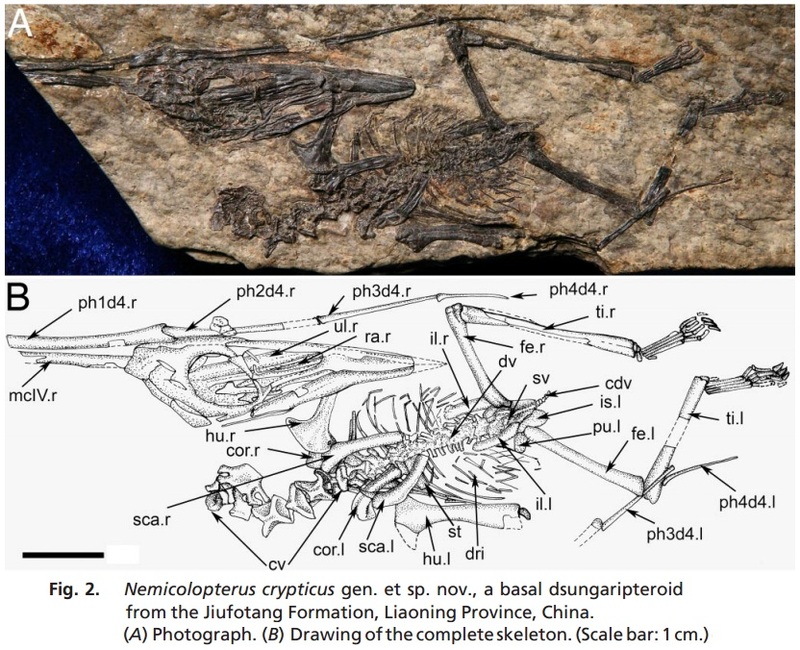 Archaeopterodactyloidea. Toolebuc Formation. Type species – Mythunga camara sp. nov.
Etymology – From ‘Mythunga’, referring to a star and a hunter of the skies in an unspecified western Queensland aboriginal dialect (DUNCANKEMP, 1968). Molnar, Ralph E.; and Thulborn, R.A. 2008. An incomplete pterosaur skull from the Cretaceous of north-central Queensland, Australia. Arquivos do Museu Nacional, Rio de Janeiro. 65 (4): 461–470. The ‘Solnhofen Limestone’ beds of the Southern Franconian Alb, Bavaria, southern Germany, have for centuries yielded important pterosaur specimens, most notably of the genera Pterodactylus and Rhamphorhynchus. 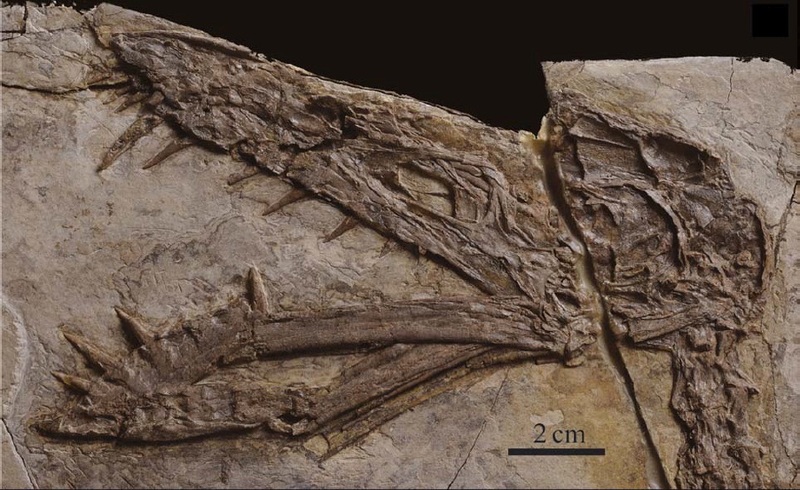 Here we describe a new genus of non-pterodactyloid pterosaur based on an extremely well preserved fossil of a young juvenile: Bellubrunnus rothgaengeri (gen. et sp. nov.). The specimen was examined firsthand by all authors. 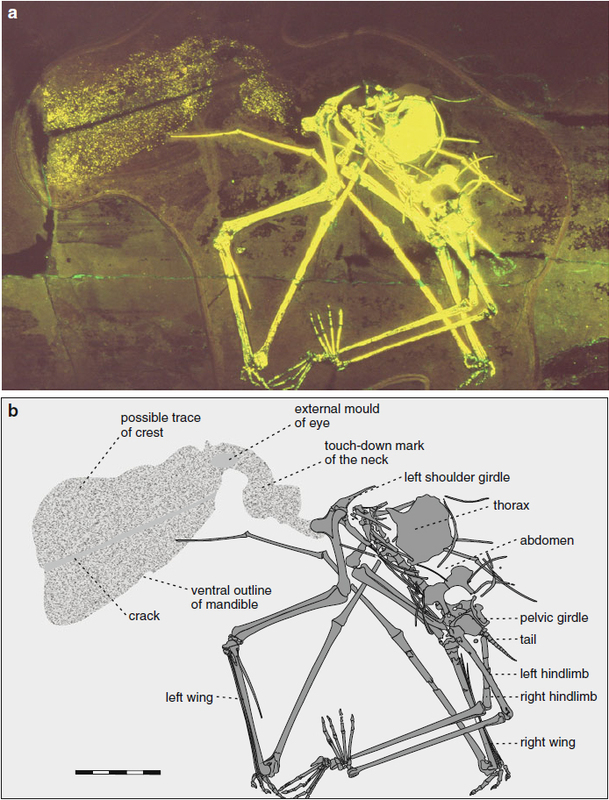 Additional investigation and photography under UV light to reveal details of the bones not easily seen under normal lighting regimes was completed. This taxon heralds from a newly explored locality that is older than the classic Solnhofen beds. 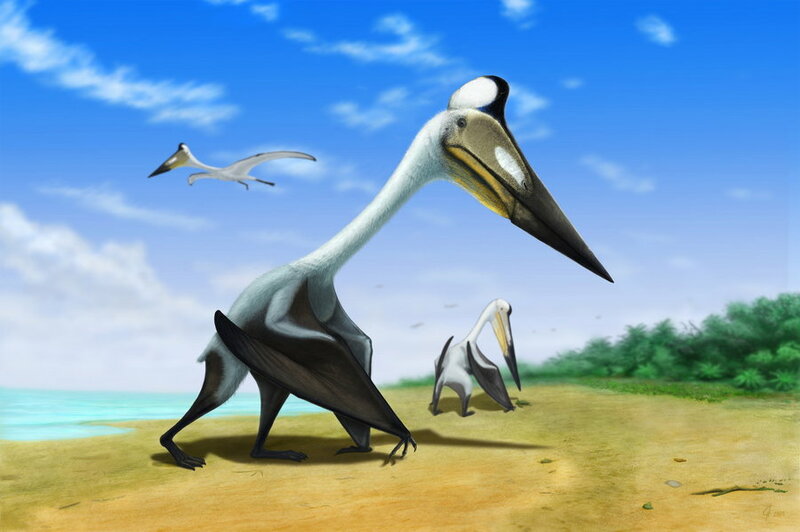 While similar to Rhamphorhynchus, the new taxon differs in the number of teeth, shape of the humerus and femur, and limb proportions. 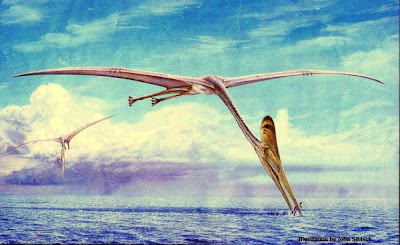 Unlike other derived non-pterodacytyloids, Bellubrunnus lacks elongate chevrons and zygapophyses in the tail, and unlike all other known pterosaurs, the wingtips are curved anteriorly, potentially giving it a unique flight profile. Etymology: From the Latin ‘bellus’ meaning beautiful and Brunn from the locality of the holotype specimen. This then is the beautiful one of Brunn. 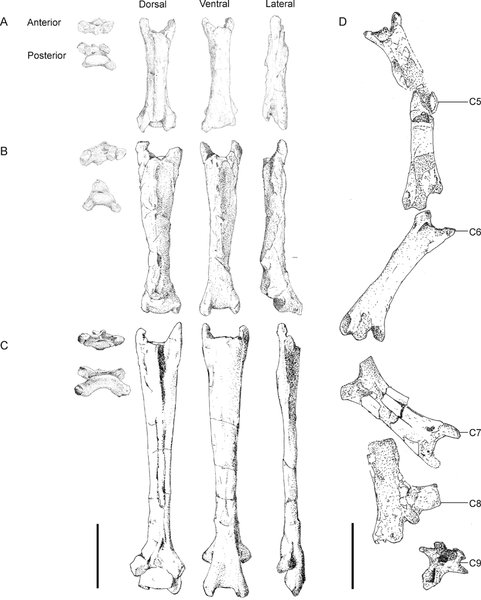 The species name honours Monika Rothgaenger who found the holotype. A heavily compressed, but nearly complete fossil skeleton recovered from the Middle/Upper Jurassic Tiaojishan Formation of Mutoudeng, Qinglong County, Hebei Province, China, represents a new genus and species of long-tailed pterosaur, Qinglongopterus guoi gen. et sp. nov. 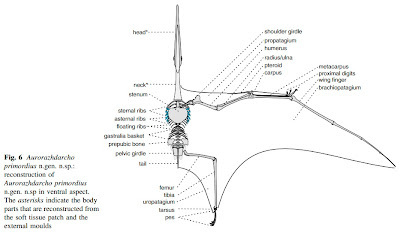 The holotype and only known specimen has an estimated forelimb length of 0.18 m. The new taxon is distinguished by a relatively short skull, a remarkably short pteroid with a distinctive knob-like distal expansion, and a prepubis with a relatively slender distal process. 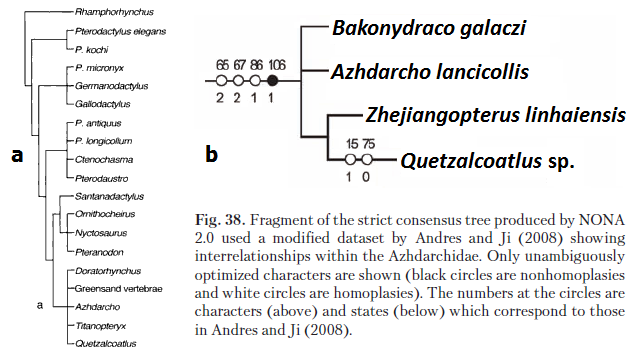 Phylogenetic analysis demonstrates that Qinglongopterus is a member of Rhamphorhynchidae, exhibiting many of the unique character states found in members of this clade. 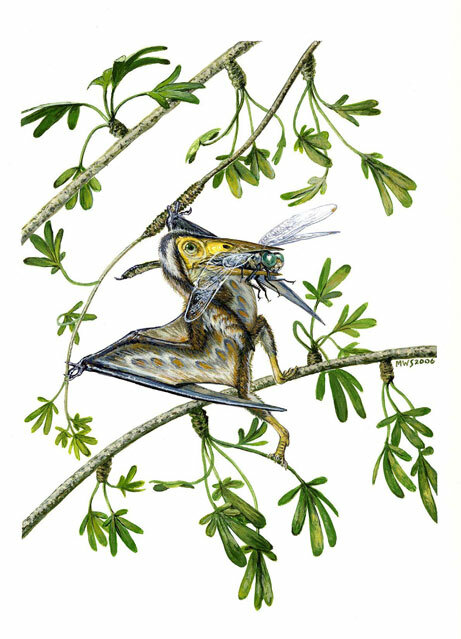 Qinglongopterus is strikingly similar to Rhamphorhynchus and more closely related to this taxon than to any other rhamphorhynchine, this pairing is supported by morphometric data and several synapomorphies (short, broad nasal process of the maxilla; forelimb length more than four times that of the hind limb; wing-phalanx one more than twice the length of the tibia). 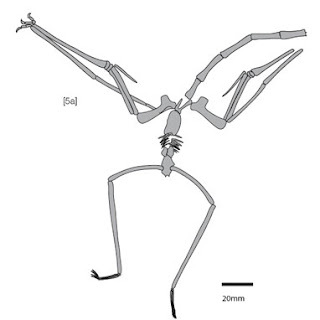 Qinglongopterus demonstrates that the highly derived skeletal morphology of Rhamphorhynchus, known only from the latest Jurassic (Tithonian) of Europe, had already appeared by the start of the Late Jurassic. This hints at evolutionary stasis in Rhamphorhynchinae, a phenomenon seemingly also present in two other clades of basal pterosaurs, Anurognathidae and Scaphognathinae, and contrasting sharply with basal monofenestratans which appear to have undergone extensive evolutionary change during the same interval. 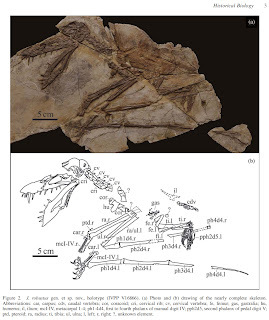 Key words: Middle/Upper Jurassic, Tiaojishan Formation, Pterosaur, Qinglongopterus guoi gen. et sp. 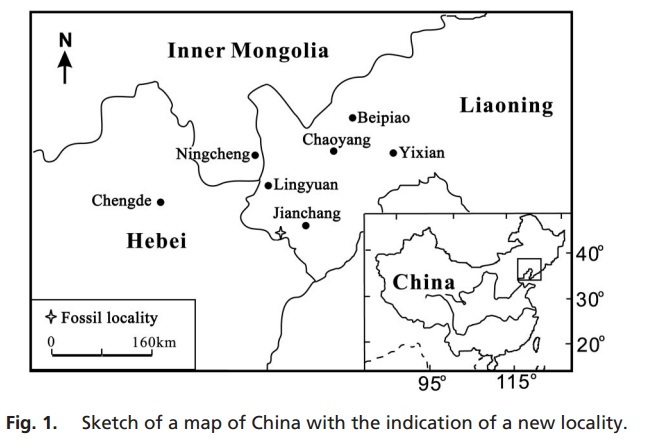 nov.
Lü, J., Unwin, D.M., Zhao, B., Gao, C. and Shen, C. 2012. 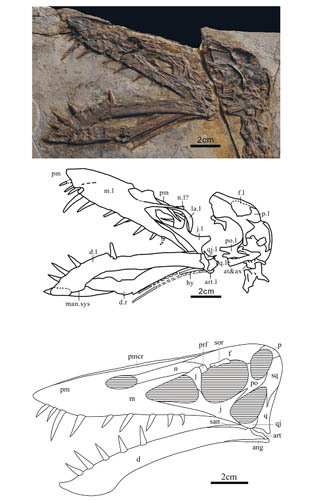 A new rhamphorhynchid (Pterosauria: Rhamphorhynchidae) from the Middle/Upper Jurassic of Qinglong, Hebei Province, China. Zootaxa. 3158: 1–19. 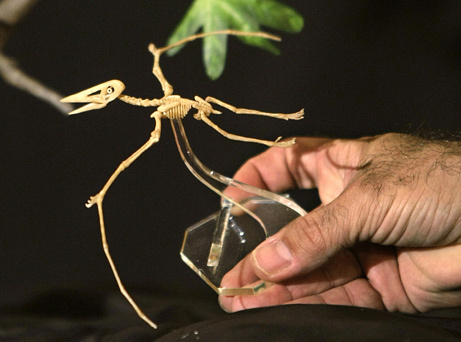 A partial skeleton of a new pterosaur, Jianchangnathus robustus gen. et sp. 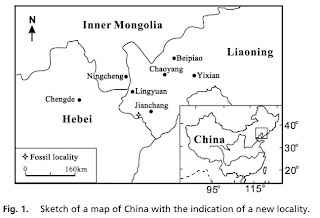 nov. from western Liaoning, China, is described. 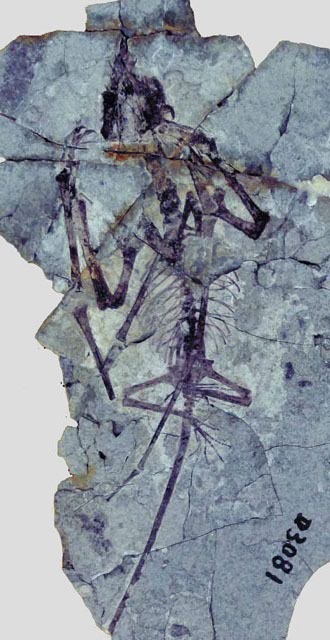 The specimen (IVPP V16866) was collected near Linglongta, Jianchang County, whose deposits have a disputed age that range from Middle Jurassic to Early Cretaceous. 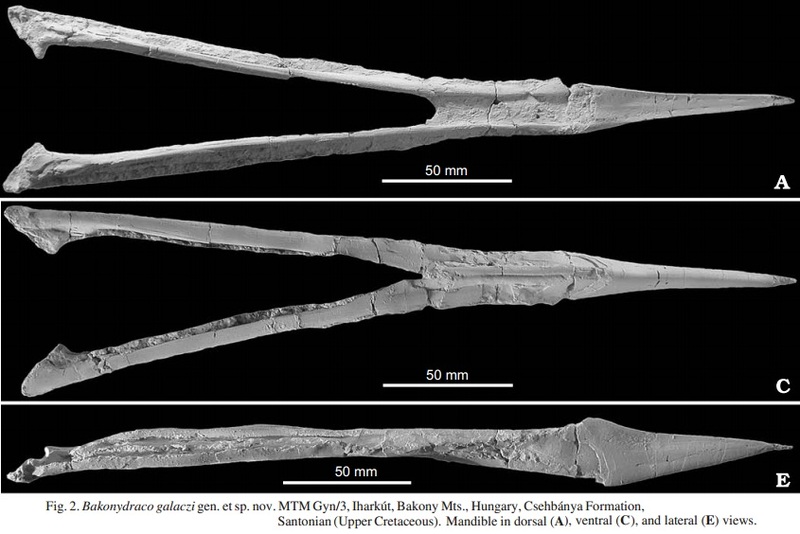 The new species shares several features with the non-pterodactyloid Scaphognathus from the Late Jurassic deposits of southern Germany, such as a deep anterior end of the lower jaw, a piriform lower temporal fenestra with the ventral margin broader than the dorsal one and the interalveolar spacing of the maxillary teeth about three alveolar spaces, allowing its allocation to the Scaphognathidae. The main diagnostic features of J. robustus include the large maxillary process of the jugal, the convex alveolar margin of the lower jaw and the procumbent disposition of the first three pairs of dentary teeth. 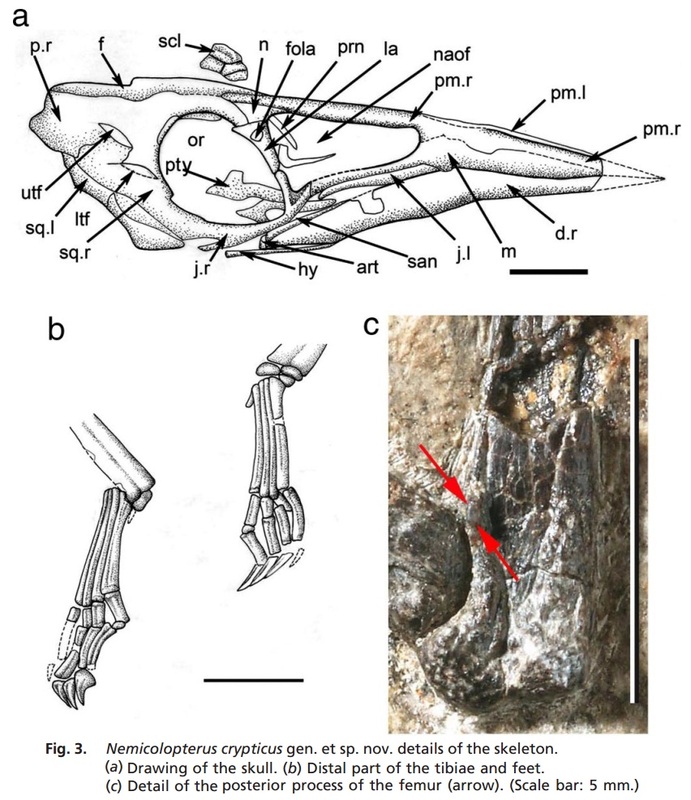 The new Chinese taxon also differs from Fenghuangopterus lii, which comes from the same deposit and is here regarded as Scaphognathidae incertae sedis, mainly by the lower number of teeth and several proportions of the wing elements. 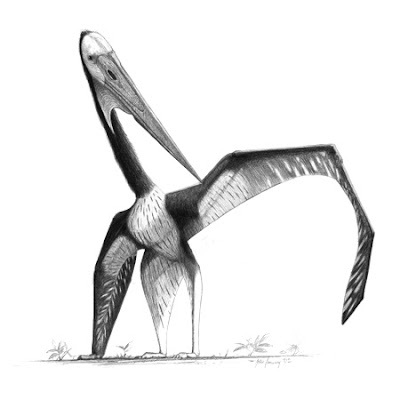 The discovery of J. robustus demonstrates a larger diversity in the pterosaur fauna of the Linglongta region so far dominated by the non-pterodactyloid clade Wukongopteridae.